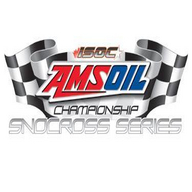 Welcome to ISOC Racing, "Home of the AMSOIL Championship Snocross Series" Live Internet streaming from the AMSOIL Duluth National! Racing begins Friday at 10:30 a.m., Saturday at 9:30 a.m. and Sunday at 10 a.m. Pro Autographs Friday 6 p.m. (following practice) Saturday 12:30 p.m. to 1:00 p.m.